Eating clean is easy when you have all the ingredients on hand. 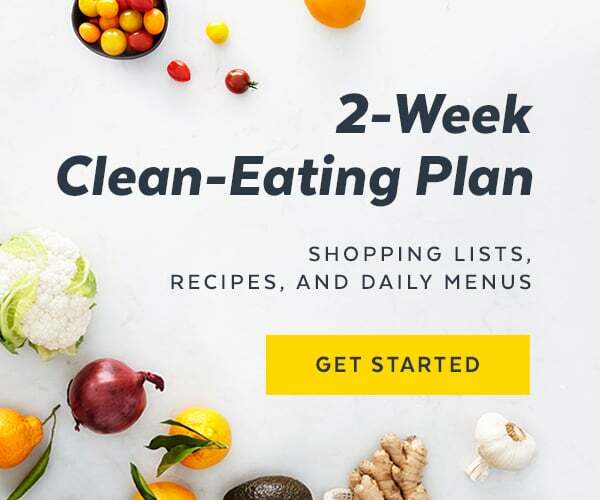 This two-week plan sets you up for success with easy-to-make recipes, printable shopping lists, and a weekly rundown of what to make, save, and prep. The plan, created by the registered dietitians Stephanie Clarke and Willow Jarosh of C&J Nutrition, focuses on whole foods — fruits, veggies, whole grains, and lean proteins — for your daily meals, plus a snack and a treat, because eating clean doesn't mean denying yourself the pleasure of the foods you love. Click here for more details about the plan. Stephanie Clarke and Willow Jarosh are registered dietitians and the duo behind C&J Nutrition, an NYC- and Washington DC-based nutrition consulting, communications, and workplace wellness company. These nutritionists are media spokespeople, featured in numerous national health and lifestyle magazines as well as TV and web shows. Read more about C&J. Got questions on the plan? You might find the answers here: Frequently Asked Questions.